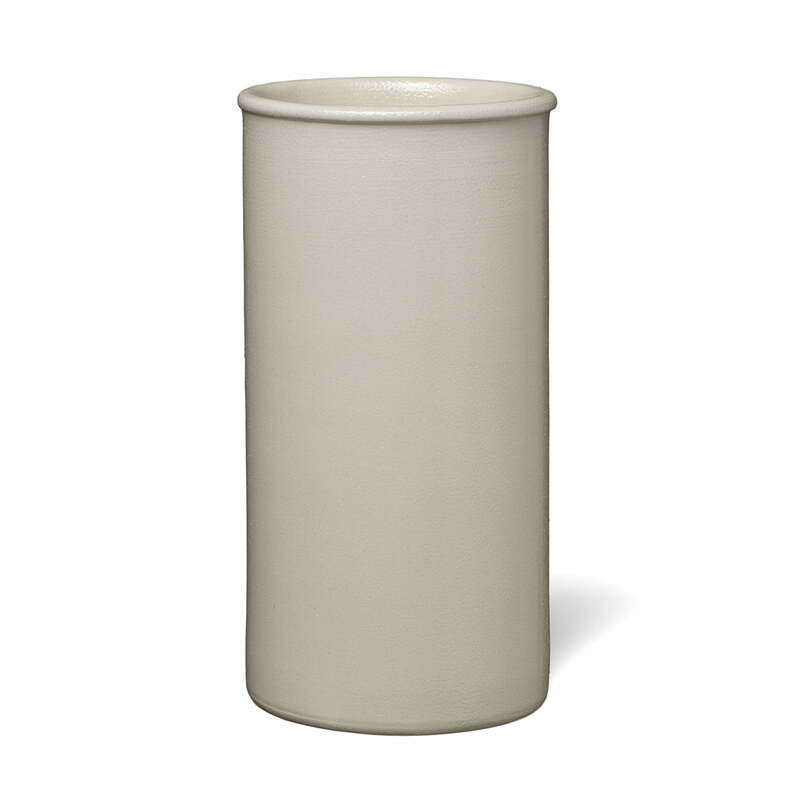 The AC19 cooler by e15 is part of the Salina stoneware ceramic series and serves as a cooling container for wine, champagne or water bottles. 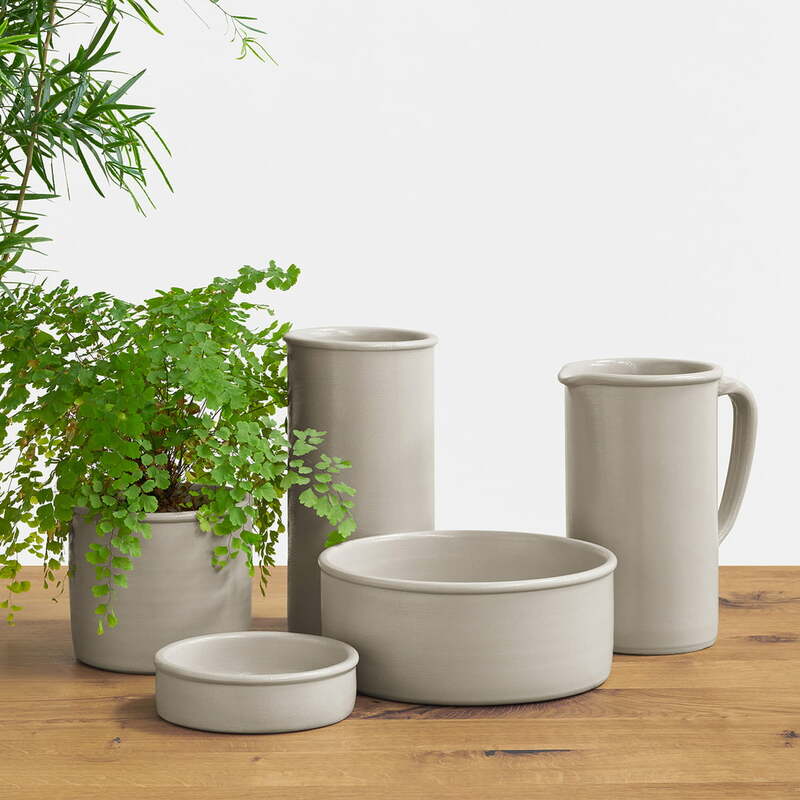 The source of inspiration for the series comes from the sand grey, salt-glazed stoneware jugs that are typical of the region of Frankfurt, Germany. A special salt treatment creates the ceramic's special surface structure, which gives the material its unique look. The cylindrical shape emphasises the simple design and appears traditional and of high quality thanks to the use of natural materials. 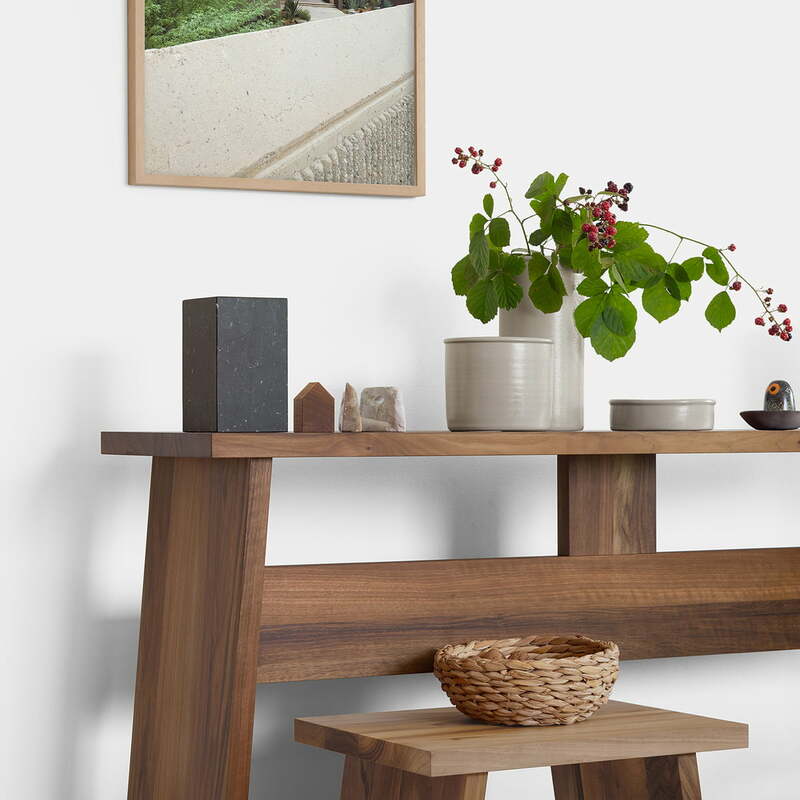 Each piece of the Salina collection is handcrafted in a workshop in the southwest of Germany and bears the signature of the potter as well as an e15 logo on the bottom. Thus, each piece is unique with handicraft quality. The Salina Cooler is especially suited for table settings, where drinks are to be kept at a cool temperature in a stylish way. Combined with other pitchers and bowls of the series, the cooler is a stylish accessory that can also be used as a decorative element in the living area. For especially long cooling, the Salina vessel can be pre-cooled in the freezer, if necessary, and thus keeps wine, champagne and other drinks cool for an especially long time e.g. in the summer. Like all items of the series, the cooler is also waterproof, dishwasher-safe and oven-proof. Single image of the AC19 Salina Cooler. The cylindrical shape of the cooler underlines the simple design and creates a high-quality appearance together with the use of natural materials. Group image of the Salina collection by e15. The collection consists of pots, bowls and jugs made of handmade ceramic treated with salt. This way, the items are given a special surface structure. Atmosphere image of the Salina collection by e15. 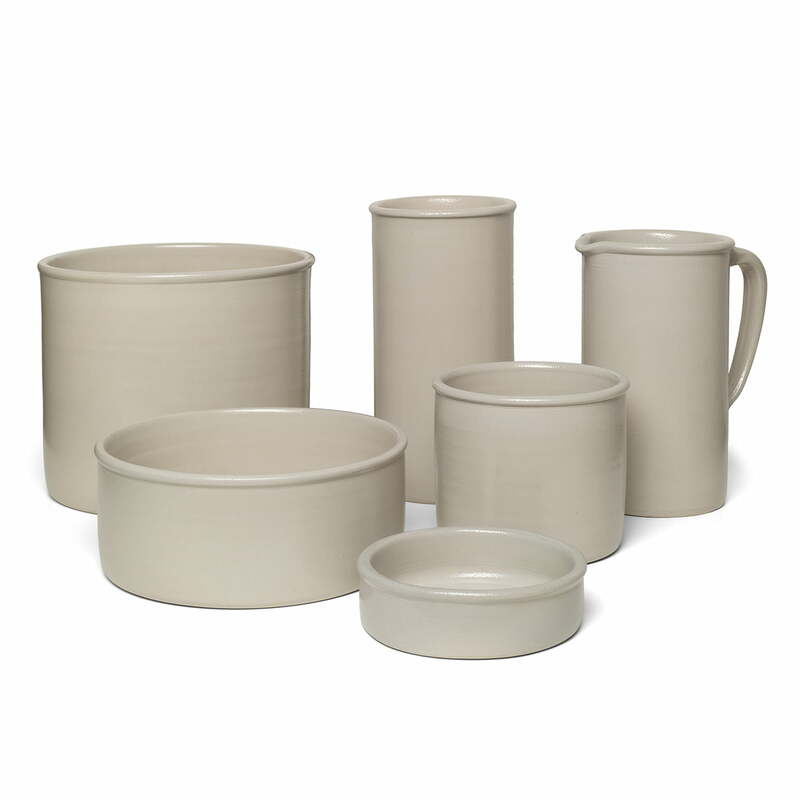 The simple design gives the items of the Salina collection their minimalist appearance, so that they wonderfully blend into every kitchen inventory. Atmosphere image of the Salina Collection by e15. Not only for use in the kitchen, but also as a stylish decorative item, the products of Salina Collection can be integrated in the living area.